By 9:30 in the morning, New Yorkers had begun to process the notion that there were two smoking ­skyscrapers at the southern end of Manhattan, and that people were dying, and that terrorists were ­responsible. 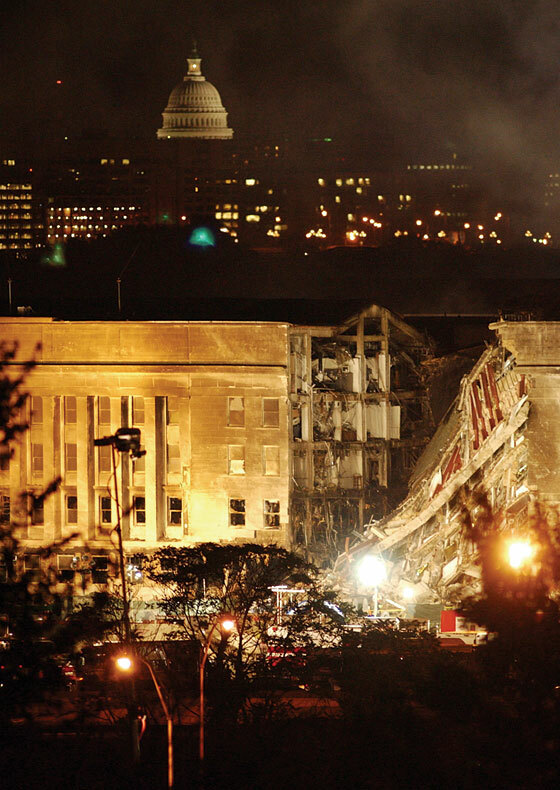 But the attack on the Pentagon, in which 125 people were killed, required another psychic ­adjustment: This wasn’t an attack, but a war. Nobody had particularly cared about the boxy, garishly proportioned Towers in lower Manhattan before they were hit—the terrorists were fixated on them for the wrong reasons. But the Pentagon was the talisman of our national power. If they could so effectively focus an attack on such a well-guarded target, what couldn’t they do?